The Toronto Transit Commission (the TTC) is the main public transit system in the City of Toronto, while GO Transit is a system that connects many municipalities across the Greater Toronto Area and other parts of Southern Ontario. 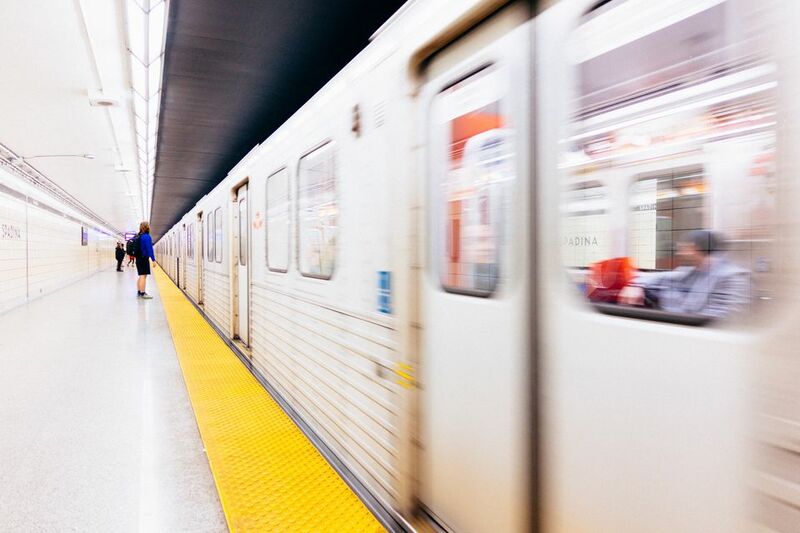 There are many places in Toronto where the TTC and GO Transit connect, and many commuters who live and work in different municipalities use both systems on a daily basis. Read on to find out how to use these two transit systems together. Whether connecting between the two systems is about to become part of your regular routine, or you're just thinking of a special trip, there are a few fare arrangements in place for riders who need to transfer from one system to another. Being able to use the two transit options together can make it much easier to get around the Greater Toronto Area. If you’re using the TTC to get to and from GO Transit stations as part of one continuous trip, you can use a transfer from the first TTC vehicle to get on the second. For example, you could take the 510 Spadina streetcar to Union Station, pay your GO Transit fare and travel to Long Branch GO Station, then use your transfer from the 510 to get on any TTC vehicle at Long Branch Loop. Of course like almost all transfers on the TTC, this arrangement is based on a direct, one-way trip with no stopping to shop or explore. Visit the TTC website for more details on the TTC Times Two with GO Transit program. The PRESTO fare system is an integrated fare system that has been adopted by numerous public transit systems across the Greater Toronto Area, plus Hamilton and Ottawa. PRESTO uses a plastic card which commuters purchase for a one-time fee of $6, fill with a minimum of $10 and then tap at card readers as they ride to have the applicable fare deducted. The system is an option for travelers which is meant to streamline fare payment, but doesn’t yet replace the option to pay by other means. Just note that when you ride the TTC immediately before and after a GO Train/Bus or trip PRESTO card users will still need a paper transfer to prevent a second fare from being deducted from their card. The PRESTO system is available on all GO Transit buses and train stations, as well as on all TTC streetcars, buses (including Wheel-Trans and accessible taxis) and at every subway station. The GTA Weekly Pass is a transit pass which allows for unlimited travel on four transit systems: the TTC, MiWay (Mississauga), Brampton Transit and York Region Transit. The GTA Weekly Pass does NOT include travel on the GO Transit system, however the pass may be useful for commuters who are using GO to move between those municipalities and use connecting routes on both ends of the trip. New to the whole idea of GO Transit? Visit GOTransit.com to learn about the system, check the fare calculator, find stations and stops and more.